Invert sugar is a type of sweetener that is made by combining fructose and glucose. It has a sweeter taste than sucrose or table sugar. The process of making invert sugar starts with cooking or boiling simple sugar syrup, which is basically a mixture of water and sugar, for a few minutes to produce a liquid. The sugar syrup can be cooked in various degrees of thickness. Adding an acid to the syrup will further facilitate the inversion process as the acid molecules will break down the sugar into its simplest components. Invert sugar can be found in natural sources such as honey. 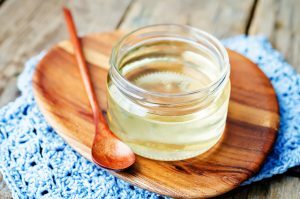 However, it has become a common practice for people to either purchase commercially produced sugar syrup or make it themselves by using acids such as lemon juice or cream of tartar. An article published on the Wise Geek website noted that invert sugar is most commonly used in baked goods. Likewise, the ingredient is a staple in other highly-processed products such as liqueur, chocolates, and candies. Invert sugar is found to be detrimental to the body’s overall health despite its simple constitution. According to an entry featured on the Wow Remedies website, invert sugar causes the same ill-effects as regular table sugar due to its high fructose content. What’s more disconcerting is that the fructose in invert sugar is of an unbound variety. Unbound fructose is known to be just as harmful as high fructose corn syrup. One tablespoon of invert sugar contains as much as 58 calories and 14.6 grams of carbohydrates, which renders the ingredient toxic when taken in excessive amounts. Invert sugar is shown to promote obesity by speeding up the maturing process of visceral fat cells. This, in turn, results in the storage of fats in the abdominal area. The effect also raises the odds of developing diabetes and heart disease. The harmful ingredient is widely known to trigger the onset of diabetes. The disease, when left untreated, may result in fatal complications such as kidney damage, blood vessel disease, and eye conditions including cataracts and glaucoma. Other ailments associated with diabetes include fungal and bacterial infections, hearing impairment, and nerve damage or neuropathy. Consuming foods high in invert sugar may put significant strain on the heart as well. A 2013 study indicated that excessive consumption of any type of sugar negatively impacts the heart’s muscles and pumping action. This increases the risk of suffering from heart failure, heart attack and stroke as well as chest pain, arterial stiffness, and other cardiovascular conditions. An article posted on Buzzle.com also stresses that eating foods rich in invert sugar may compromise oral health. According to the article, oral bacteria use sugar as an energy source in order to combine and form plaque in the teeth. This then leads to the formation of plaque buildup and tooth decay. The article notes that invert sugar may lead to sudden spikes in insulin production, which in turn may raise the odds of developing certain types of cancers such as breast, colon, or uterine cancer. Invert sugar primarily affects the body’s digestive and metabolic profile. Likewise, the harmful ingredient is detrimental to both cardiovascular and oral health. The toxic sweetener is also known to affect the eyes and ears, the nerves, and the immune system. It also affects certain parts of the body that are susceptible to cancer including the breasts, the colon, and the uterus. Invert sugar causes obesity, diabetes, and heart disease. Invert sugar affects the eyes, the ears, and the teeth. Invert sugar impacts the nerves and the immune system. Invert sugar is detrimental to the heart and the digestive tract.